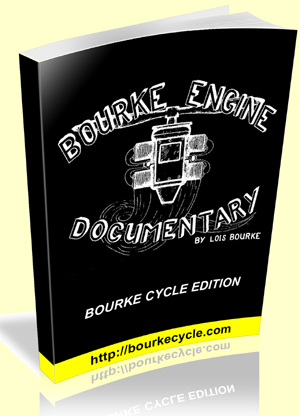 Today, we released the Bourke Engine Documentary - the Bourke Cycle Edition. It is difficult to find an original copy of this book (at a decent price) that was assembled by Louis Bourke, Russell Bourke's wife. It is one of the most important pieces of work when it comes to engine science and being that Russell Bourke created the world's most efficient engine, it's highly credible. The Bourke Cycle Edition means that there are other documents included discussing the real Bourke Cycle, which were absent from the Bourke Engine Documentary. So this is a RARE book with rare documents that accompany it. If you study this book closely, you may see that it is possible that Stan Meyer received his original inspiration from this book when you study the concepts of nitrogen as explained. When you read the concepts about the Thermonuclear Engine - you may see that Papp may have received his own inspiration from this work. There are too many powerful concepts to discuss in one single post, but if you have any interest in combustion or actually hydrogen detonation science in the context of running an engine, this is THE most authoritative work on the subject ever produced. Superub Aaron!! looks like your Jet Propulsion Pulse Engine is also an inspiration of this work!..has this some thing more to do with the Vacuum rather than High-presssure thrust.. its a must have book!! i'm sure it will throw light on the Water-Ignition by electric Spark in closed chamber (Vaco-Pressure) condition. who know's this is what Mr. s1r9a9m9 also used in his Water Explosion variant!! !